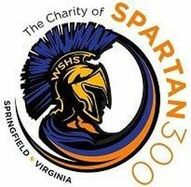 The Charity of Spartan300 supports West Springfield High School alumni, faculty, staff and relatives who have illness or financial hardships. The selection process is overseen by the Board of Directors of The Charity of Spartan300 with knowledge and compassion about the needs of applicants seeking support. You may be contacted by a member of the Board of Directors to discuss your application before a final decision is made. You will be notified of the decision of your application within four weeks. Fellowships will generally range up to $500 and greater. Payments will be made directly to the service provider or to the applicant. *Preferences will be given to alumni and alumni relatives lacking family or community support. *Impact of requested service on the applicant's quality of life.